Our cadets had a great win against Thurles. The boys started off with a strong offence with Scott Higgins driving to the boards and getting us some scores. Thurles reacted back with a 3 pointer. Keith Quinn took control at the top of the key setting up the boys for a good offence. The boys played a strong defence not letting Thurles through. Thurles got a few nice scores but that didn’t affect the boys game, resulting in them coming out on top in the first quarter 19-14. In the second quarter we started off strong on offence with Padraig Foley driving to the basket and Ciaran Byrne with some lovely outside shots. Our defence was brilliant only letting them score 6 points while our score was going up scoring 16 points in that quarter leaving it 35-20. In the second half the boys kept on playing brilliant defence preventing Thurles from putting up loads of shots, while we were still playing strong on offence and keeping the scores on the board. Resulting in a great win for the cadet boys. Final score 62-46. The boys had a great game against Thurles CBS even though the game didn’t get off to a great start with Thurles winning the jump and getting a few scores on the board, the lads fought back but Thurles took the lead leaving a gap in the score. At the end of the first quarter the score was 7-15. The lads went back onto the court with their heads held high ready to start again. They started playing aggressively on defence trying their best to stop Thurles. There offence started to improve with Big Dan, Gary Morrissey and Adam Kavanagh working hard together to put some scores on the board. They started playing their hearts out which resulted in them bringing the game back and we came off the court at the end of the second quarter with the score showing 26-23 in our favour. We started off poor in the third quarter letting Thurles go off on a scoring spree, our heads seemed to be out of the game.. Gary Morrissey fought back to get some scores on the board for us but Thurles defence was just so good we only managed to score 6 points leaving the score 32-37. In the final quarter Thurles put it up to us but the lads fought back harder bringing the game back even. The boys played a very strong defence while at the same time playing an aggressive offence. The game was basket for basket the whole way through the final quarter. Thurles were winning with one minute left to go, pacers had the ball and the boys used the ball well, passing it around the 3 point line and the getting it inside to Big Dan, resulting in him equalising the game and sending the game into extra time. The score at this stage was 57-57. We went into extra time, 3 minutes on the clock. The lads were pumped up from Big Dans equaliser, which got them fired up to go out and win, which we did. 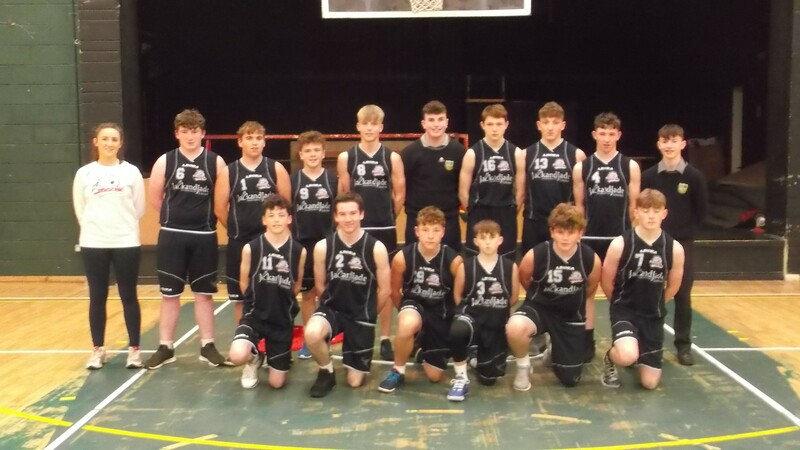 The lads prevented Thurles from scoring any points in the last 3mins while at the same time scoring 3 baskets and a free point themselves resulting in a great win with a final score 64-57 to St. Paul’s.